Market research provider Euromonitor International has released its annual list of top emerging trends that provide insights into consumers' changing values and explores how their behaviour is disrupting business globally. 1. Age agnostic: Boundaries of old age are shifting. As people live longer and take better care of themselves, older consumers feel and want to be treated as younger. 2. 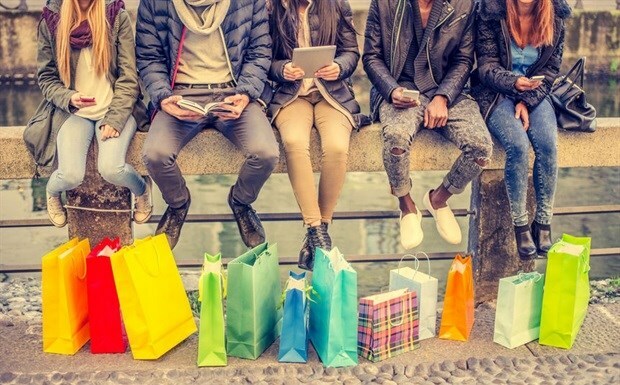 Back to basics for status: Shoppers are searching for authentic products and experiences, moving away from overt materialism to simplicity as well as from generic to higher quality products. 3. Conscious consumer: What used to be the domain of ethically-positioned, niche producers is now being embraced by conventional companies through higher welfare products. 4. Digitally together: As our digital capabilities and comfort using new technologies grows, so will the potential of what can be created or experienced together, but remotely. 5. Everyone’s an expert: Whereas previously shoppers relied on a certain brand or information source, now companies must constantly innovate to entice more inquisitive shoppers. 6. Finding my JOMO: The Fear Of Missing Out has now given place to the Joy Of Missing Out. Consumers want to protect their mental wellbeing, disconnecting from technology and prioritizing what they truly want and enjoy doing. 7. I can look after myself: As people become more self-sufficient, they take preventative measures against illness, unhappiness and discomfort without consulting a professional. 8. I want a plastic-free world: The push for a plastic-waste-free society has gained momentum, creating a virtuous circle where businesses gain by improving sustainability. 9. I want it now: Consumers seek instant gratification and frictionless experiences that mesh with their lifestyles, allowing them to dedicate more time to their professional or social lives. 10. Loner living: More people – especially older consumers - across the world break the stigma of living alone and embrace their independent lifestyles. “Intelligence is the common thread linking all trends in 2019. In a world full of choices, consumers’ needs and wants are fast-changing,” comments Gina Westbrook, director of lifestyles at Euromonitor International.